The pace of life is slower here without the tacky nightspots, terrible traffic and excesses of South Bali. Clean air, clean oceans and low traffic make your stay in any place of these regencies a real enjoyable time. 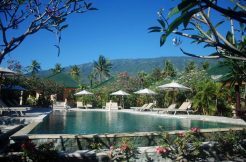 The 2 main tourist areas of North & East Bali Amed/Tulamben (East Bali) and Lovina (North Bali) offer endless opportunities to enjoy a holiday or living in still magnificent nature and traditional Balinese environment. All destinations along the North Bali coast have their own charm and beauty. Meanwhile in Tulamben/Amed (East Bali and Lovina North Bali area are already lots of tasteful restaurants, serving excellent food at reasonable prices, numerous mini markets which offers all the daily needs and also many travel office who offers tours to any sightseeing spot on the island. 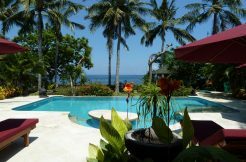 In Lovina is also meanwhile a pulsing night life available with lots of bars and life music. In the former Bali capital city of Singaraja is a Carrefore Supermarket which has everything on offer what a household needs.